63There are three distinct historic families within the Morgan breed. Three generations removed from Justin Morgan. Foundation stallion for the Woodbury Family. Two generations removed from Justin Morgan. Foundation stallion for the Woodbury Family. Five generations removed from Justin Morgan. 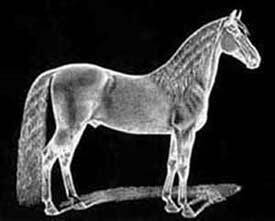 Foundation stallion for the Goverment Family. 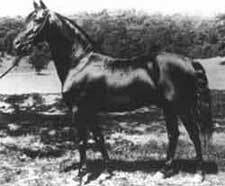 Both the Lambert and the Government families go directly back to Sherman Morgan on their sire line. The Woodbury family goes directly back to Woodbury on their sire line. 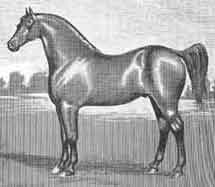 The Lambert families foundation stallion was Daniel Lambert, foaled in 1858. 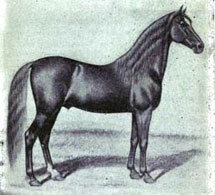 The Woodbury families' foundation stallion was Green Mountain Morgan, foaled in 1832. 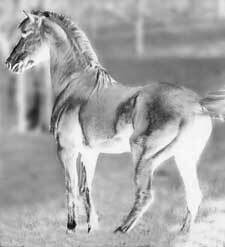 And the Government family foundation stallion was General Gates foaled in 1894. Although the Government's sire line is different from the Lambert's, both go directly back to Sherman Morgan. The three Morgan families share many common ancestors although the blood of Sherman is by far the most predominate. Even the Morgans with the highest percent of Woodbury blood have more than 50% Sherman blood. The Lamberts and the Woodbury's have the highest percentage of Justin Morgan's blood in the Morgan breed.